We’re GOing where the music’s at! For the first time GO Group will be part of Where’s the music?. 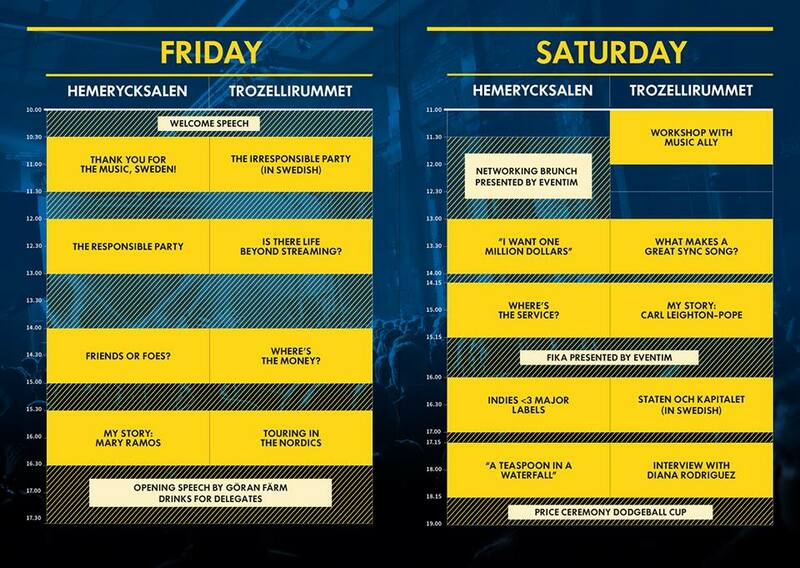 It will be 2 days of conference and 3 days of music, with 11 stages around Norrköping and over 100 acts to discover. Where’s the Music? – Conference is a platform where people of the music industry can take part in a comprehensive conference program, as well as great networking opportunities with domestic and international music industry professionals. The Conference will cover industry-related topics containing a wide range of panels, seminars and workshops. THE RESPONSIBLE PARTY – Is Bono killing polar bears? Promoters, agents, artists, audience, media and managers – it’s a heterogeneous business, but it has the same obligations towards future generations as any other business out there. Nowadays we tackle topics such as social challenges, climate change and endless growth. Do they also concern the live music and festival industry? Isn’t this just all about entertainment? We will discuss the influence of the players in the game. Responsibility, conscience, sustainability – whose job is it? We’d like to find out who can spearhead this discussion, where the potentials are and what makes people hesitate to raise their voice. We’re really looking forward to our first time in Sweden and we’re ready to GO!